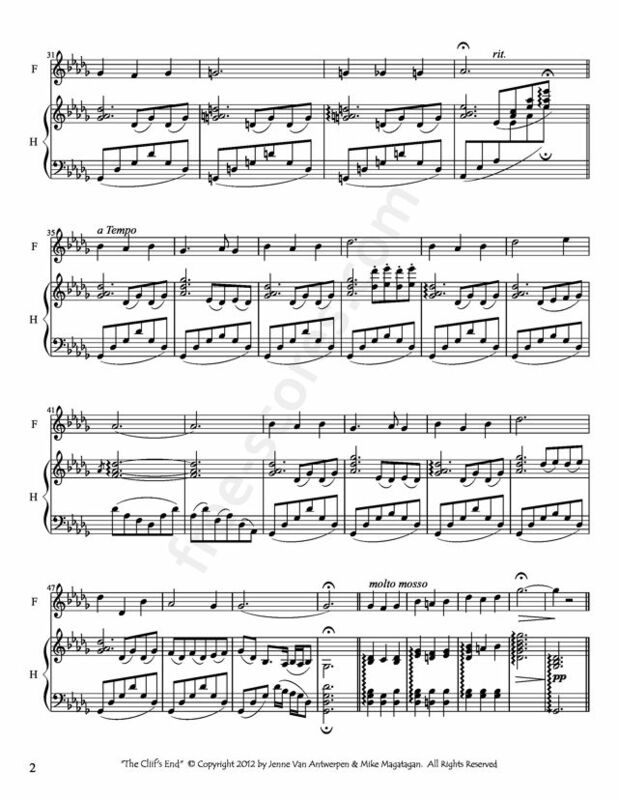 The Cliffs End for Flute & Harp (Flute Part) Note: 2 measures of quarter-notes have been prepended to the play-along to facilitate synchronization. The Cliffs End for Flute & Harp (Harp Part) Note: 2 measures of quarter-notes have been prepended to the play-along to facilitate synchronization. Jenne Van Antwerpen is a Flautist, amateur composer and my friend. I am also an amateur with music in general. 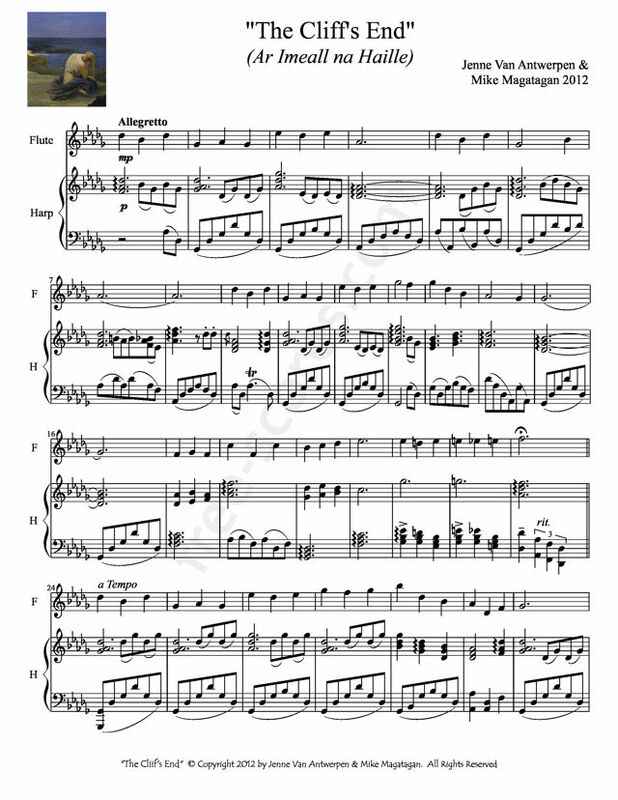 One day I asked Jenne to "whistle" a tune or jot down a melody using her newly acquired MuseScore typesetting skills. I was pleasantly surprised when she sent me this lovely flute line. I created the corresponding harp accompaniment and we worked together to refine the timbre, range and overall sound. 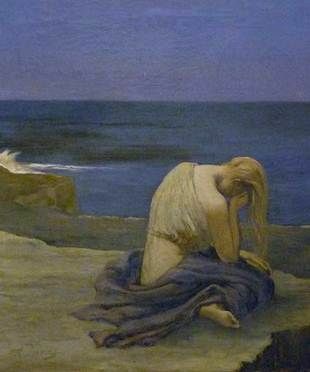 To me the piece is reminiscent of a lonely Irish woman waiting patiently on the edge of an Éire cliff anticipating the return of her seafaring mate. This piece was created for Flute and Concert (Pedal) Harp and I enjoyed working with Jenne to create this short work.